The SpaceX-4 mission to the ISS will carry aboard some unusual items. 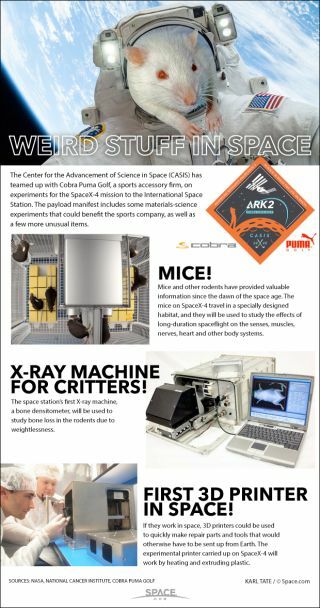 The Center for the Advancement of Science in Space (CASIS) has teamed up with Cobra Puma Golf, a sports accessory firm, on experiments for the SpaceX-4 mission to the International Space Station launching in September 2014. The payload manifest includes some materials-science experiments that could benefit the sports company, as well as a few more unusual items.